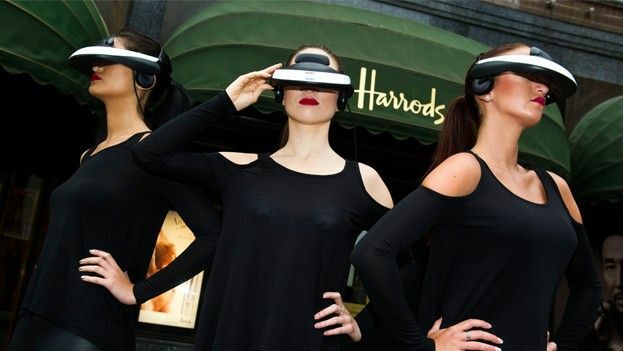 Sony has revealed that it will be selling the Sony Personal 3D Viewer HMZ-T1 in Sony stores across the country with a limited run of the products appearing in Harrods before making its debut in the rest of the country. The Personal 3D Viewer is one of the first products that combines dual-OLED screens at an ultra-high resolution of 1280x720 at just 0.7inches, which combined, creates the illusion that the viewer is looking at a mammoth 750 inch movie theater screen. With virtual surround-sound headphones built-in the experience is designed to be the ultimate in immersive entertainment, connecting to a range of products including Sony Blu-ray players and of course the PlayStation 3. The limited number will be in Harrods from today while the HMZ-T1 will be available in the rest of the country in Sony stores from later this month, however you may want to think before you splash out on one as they'll be retailing at a rather hefty £800. Best cheap AirPods deals 2019: AirPods 2 actually got a price cut!